The purpose of this policy is to maintain good relations between the university and external organizations with regard to advertising and sponsorship. It is also intended to encourage collaboration and information sharing among university groups seeking advertising and sponsorship revenue while fostering the success of all such groups. "Advertising" is defined as paid-for promotion of products or services. "Sponsorship" is defined as financial support of an event or activity that is not eligible for a charitable tax receipt. The sponsorship must be connected with an event or activity arranged by a university organization. "Publication" is defined as any product in printed or electronic form that contains advertising. "External community" is defined as any non-Laurier affiliated organization and/or business. "Fundraising" is defined as the financial support of an event or activity where a charitable tax receipt is received. The chair must be one of the representatives from the Office of the Assistant Vice-President: Student Services, the Office of University Advancement or the Office of Finance and Administration, with the chair to rotate annually. The duties of the chair will include: assembling meetings as required or upon request of any committee member as well as distributing policies, agendas and minutes; the chair may also vote. Meetings will be held a minimum of once a term (three times per year) with one of these meetings taking place either before the start of the fall term or as early in the fall term as possible. Each meeting should include an information sharing session with regard to the advertising activities and plans of the various groups represented on the committee. The committee's decision shall be final in all matters where it has responsibility in this policy. This policy is subject to review by the committee. Any changes to the policy shall be forwarded to President's Group for subsequent approval. 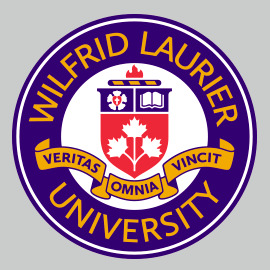 No external organization may distribute publications/materials on campus with similar content or utility to those produced by Laurier affiliated groups without the permission of the Advertising and Sponsorship Committee. Persons distributing such publications may be regarded as trespassing on university premises. WLUSP has the right to solicit advertising for publications primarily directed to and/or distributed to undergraduate students on campus. WLUSP, in turn, has an agreement with Laurier athletics that is exclusive of these terms. WLUSU has the right to solicit advertising and sponsorship for its events, services and facilities (and any publications associated with these events, services and facilities) directed towards undergraduate students on campus. The GSA has the right to solicit advertising and sponsorship for various events, services and publications directed towards graduate students. Any other individual, group or organization wishing to solicit advertising or sponsorship for an event, service or publication must obtain permission from the Advertising and Sponsorship Committee. Application to the committee must be submitted at least two weeks in advance of the proposed solicitation. Solicitation of advertising in official university publications or other university media, or for university events or services not directly targeted towards undergraduate students is exempt from the above restrictions. Advertising on campus by internal and external organizations shall be conducted in compliance with all policies of the university Senate and Board of Governors. All fundraising activities, other than the solicitation of advertising and sponsorship as discussed in this policy, must be approved by the Development Office. Any use of the university's names, marks, logos and insignia, including names and insignia related to the university is prohibited without written approval from the Office of University Advancement. See university policy 13-1 for further information.